Danny Rainer and Vicente Giner. 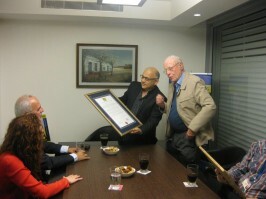 The Wallenberg Foundation represented by its vice president, Yoav Tenenbaum, the director of the Israeli representative, Danny Rainer and project coordinator, Viviane Epstein, received on November 6, in Tel Aviv, Mr. Vicente Giner, son of the late Dolores Llopis and Miguel Giner; journalist from the newspaper La Vanguardia and Raoul Wallenberg Award, Eduardo Martin de Pozuelo and Martha García Quinto. 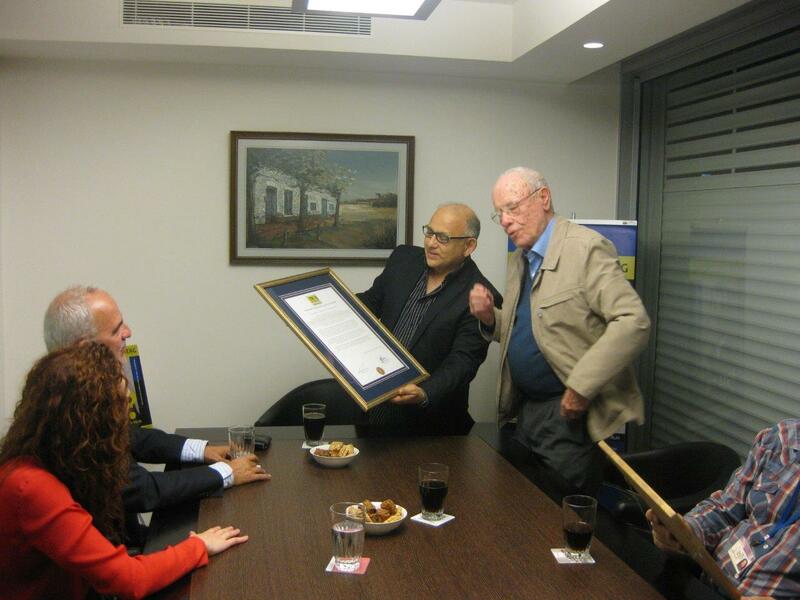 On this occasion the Wallenberg Foundation highlighted the acts of courage of the Vicente’s parents. The story was revealed by Pozuelo in a report entitled “The Angels of the Pyrenees”. Yoav Tenenbaum, Marta García Quinto, Eduardo Martín de Pozuelo, Danny Rainer, Vicente Giner and Viviane Epstein. During the Second World War Miguel Giner was a customs administrator. Upon learning that refugees who were sent back to France were killed by the Nazis and their allies he decided to facilitate the entry of refugees to the city of Les, Spanish municipality in the province of Lleida, in Catalonia. He and his wife organized safe shelters for evacuees. 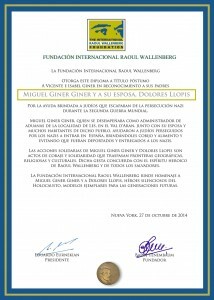 Diploma of the IRWF to the Giner couple. Rainer described the couple as “Silent Heroes of the Holocaust”. 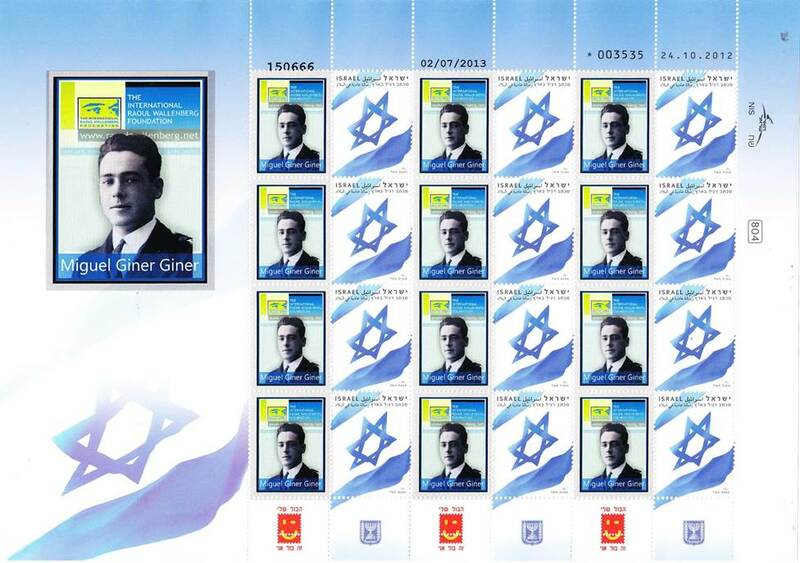 After the meeting Giner received a broadcast stamp issued by the Post of Israel, as well as a certificate of recognition. Stamp issued by the Post of Israel in honour of Miguel Giner. 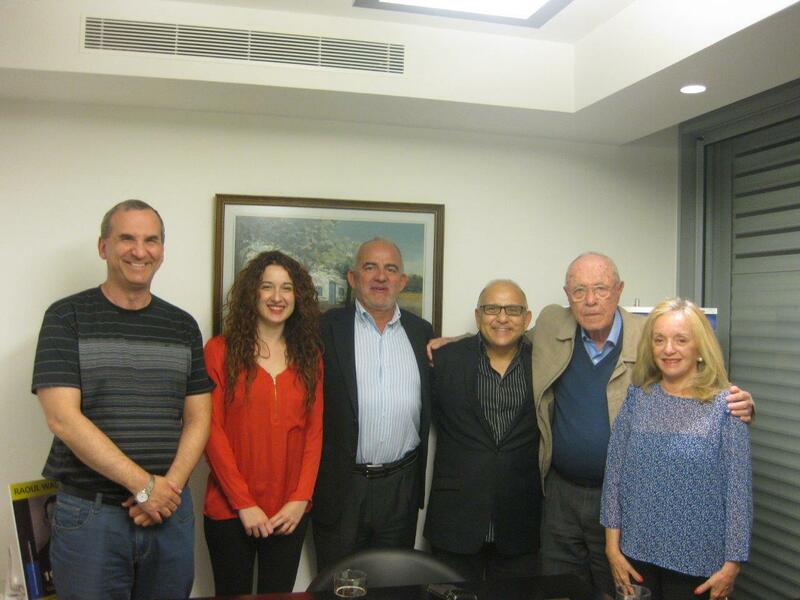 Vicente Giner invited the foundation to meet again in Les, where the incidents occurred.